At 45 years above we should eat “Healthy” food. Not delicious unhealthy food. But if we cannot eat delicious food, what is life for? After eating goat meat at Happy Eid Day and got severe influensa, I have a very bad head ache. Neck and shoulders feel so stiff and fatigue. If I go to the doctor, it could cost tens of dollar. If go to the hospital, it could cause hundreds of dollar. In other countries, it could be more. 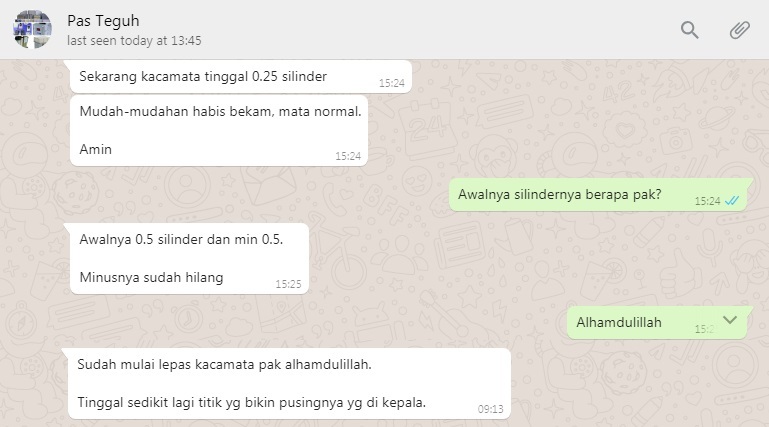 So getting Hijama (clogged blood removal) for 20 minutes is the right choice. After all getting drugs for a very long time is not good for our kidney. So Hijama is more natural. 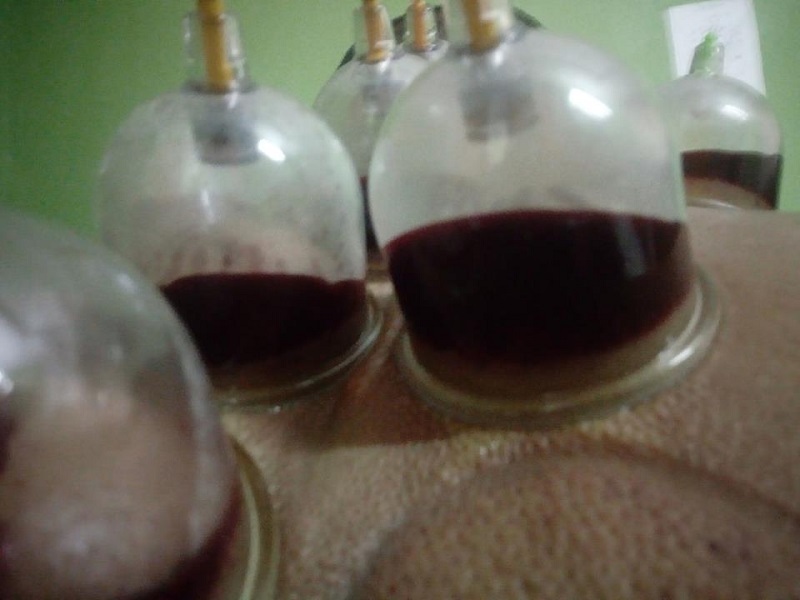 Hijama is very safe if it is done by the Hijama expert. 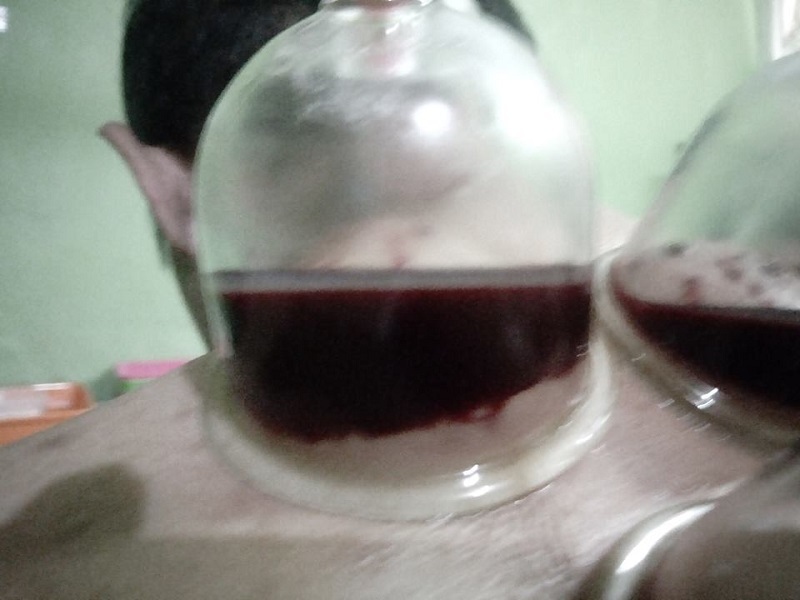 But if the cuppng glasses is not sterilized well using water, H2O2, antiseptic soap, alcohol, and also a good sterilisator (with infra-red and ozone), it could be dangerous. People with contageous deseases such as Hepatitis and Aids could give us the desease. So make sure your hijama place is sterile. 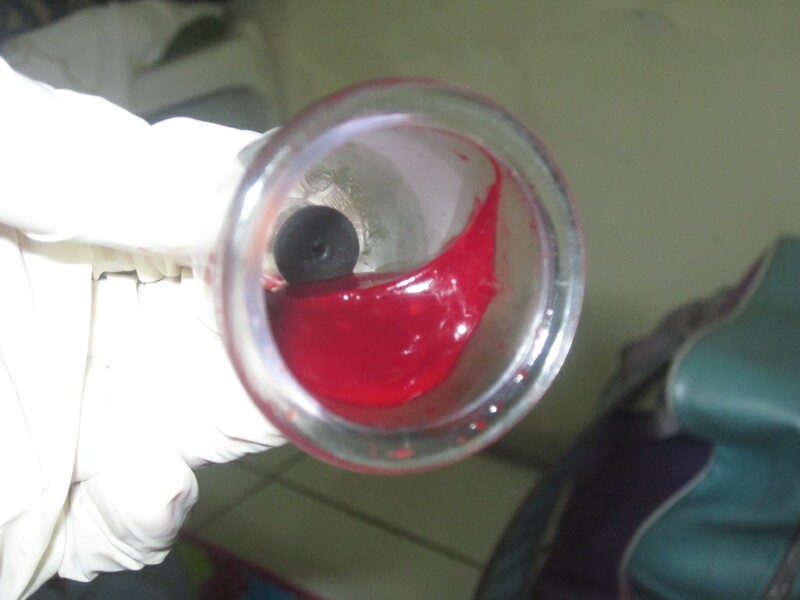 The photo above show how thick the hijam blood is. It’s like a liver that won’t pour even put horizontally. Imagine if the blood clogged in our blood vessels. It could make our blood vessels narrower, creating hypertension, and even stroke. I’ve tried this therapy, but not until the bloodletting!